As a little girl, I had to fight back tears when I found a note in my lunchbox from Mama. The elementary school I attended—which in hindsight was quite nurturing—felt cold in comparison to the warmth of her love, felt unsafe in comparison to the haven of home. Glimpses of heaven still make me cry: hearing an exquisite song, feeling truly known and loved, reading the Bible, reading a children’s book . . . .
Oh My Baby, Little One by Kathi Appelt has the same effect on my tough little boys as my Mama’s lunchbox notes had on me. On different occasions, I’ve noticed each of my son’s eyes get watery after we’ve read the parting scene between mother and child at the beginning. I cuddle them closer, my eyes watering too, and continue reading this story about the bond we share. It is a beautiful rhyming picture book. Certainly not intended to be a tear-jerker, it is a comforting story—the perfect bedtime book for a child who is nervous about being away from mother all day at school (or a mother who is dreading saying goodbye 🙂 ). The mother’s love never leaves the little child, though she is at work, and the love never leaves the mother either. One of my favorite illustrations is the steam rising out of the mother’s coffee cup in the shape of a heart. Jane Dyer hides hearts in every picture to show the presence of the mother’s love at school with her child: on the chalkboard, in the leaves on the tree above the playground, and ,of course, on a note in his lunchbox. 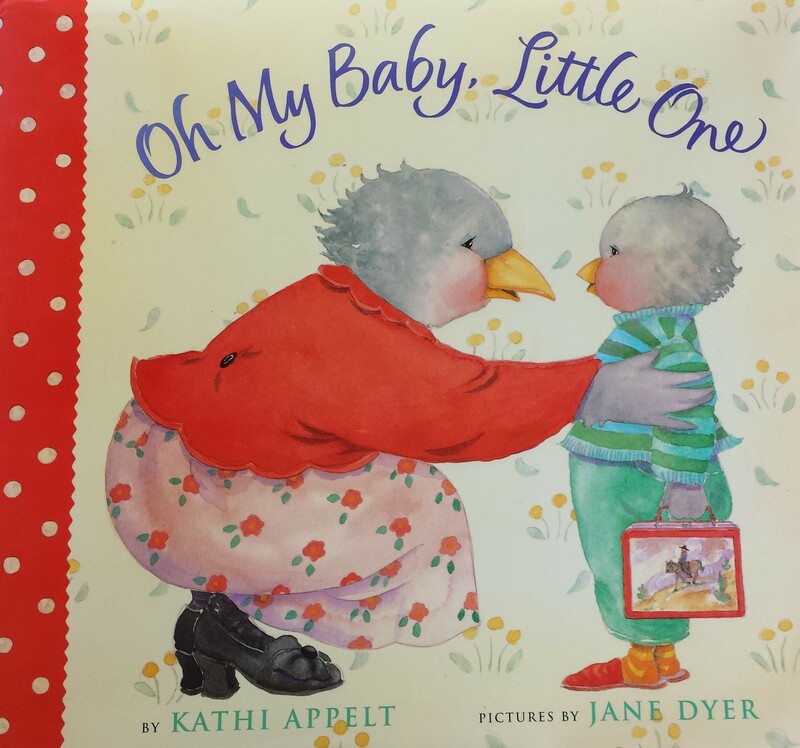 This entry was posted in Children's Book Moments, Treasured Books and tagged children's book review, children's books, Mother's Day, Oh My Baby Little One by Kathi Appelt. Bookmark the permalink. My eyes teared up reading this latest entry. No mother could love a daughter more. Being a mother has been one of my life’s greatest joys. Thank you for your sweet words, and for all the little notes and letters you’ve written me over your lifetime. They are cherished. 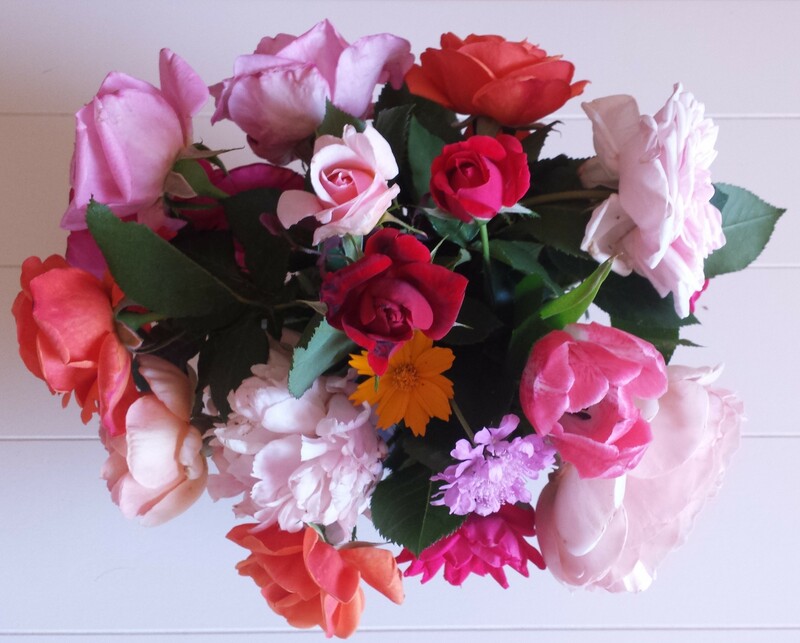 Thanks for sharing this on Mother’s Day!